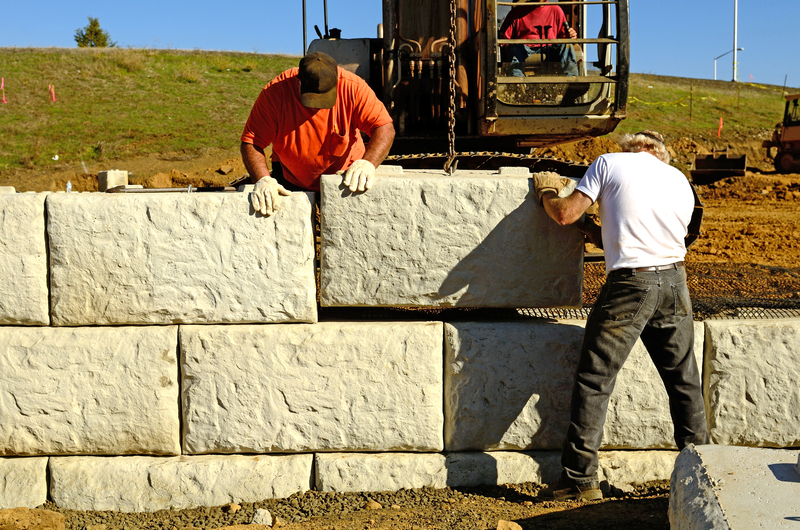 Choosing the right materials is absolutely essential to building the best retaining wall. As well as this, you will need to consider the height and the function of your wall. A well-built retaining wall can help you create a beautiful outdoor entertaining area, a vegetable garden, or even a space for your children to play. It can redefine the contours of a sloped terrain and improve your kerb appeal. To help you with all your retaining wall essentials, we’ve compiled a list of the top five things you should know. Timber, brick, concrete, and natural stone are some of the most commonly used materials in the construction of retaining walls. Pine treated timber that’s safe for contact with dirt will last you almost two decades. It’s natural, low-cost and low-maintenance. If you use timber posts to build a retaining wall, you must create a proper water drainage system. This prevents excess rainwater from accumulating and causing the wood to rot. Rotted wood will compromise the structural integrity of your wall, weakening it and increasing the chance of a partial or complete collapse. Timber retaining walls work best with sustainable soils such as gravel, sand, stiff clay or rock. Soft clays, peat, topsoil or made up ground are not ideal for retaining walls. In some parts of New Zealand, you will need building consent for a wall that is taller than 1.5 metres. Regardless, it is always a good idea to approach the council with your plans. Look for high-quality timber that’s free from knots and insect damage. Whenever possible, select local hardwoods over imported species. H4 treated pine timbers are great for building fences, greenhouses, timber garden walls and other non-critical structures. The quality of sleepers and posts will vary from one supplier to another. It’s best to get your materials from a reliable and experienced timber store. If you’re looking for premium-quality timber and retaining materials, get in touch with Woodmart. As one of the leading timber merchants in Auckland, we provide an extensive range of building materials and hardware products. Call us on 09 525 6293 for all your building supplies or get in touch with us online. To get the best deal on your retaining wall and other products, check out our specials and limited time offers.